Japan - Major Cities The cities from Japan are known for their fast pace and crowd. Almost 80% of total population of Japan lives in cities. The cities are popular for a blend of rich history of Japan and its unique modern culture. 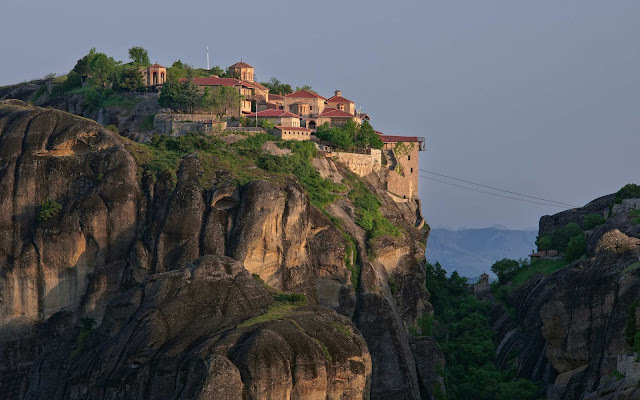 You can get a mix of high tech urban atmosphere with some historical spots and quiet solitude of nature. Here I have made a list of 10 major cities from Japan. 1. 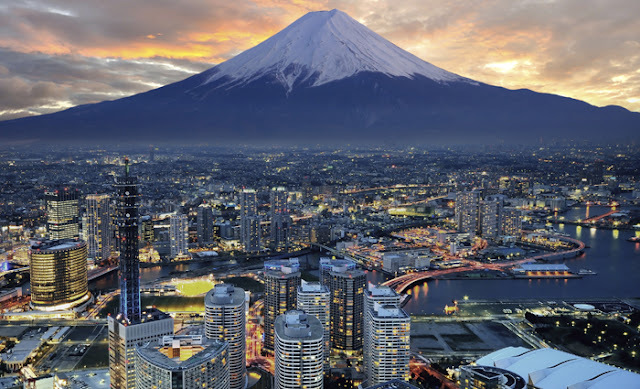 Tokyo: - Tokyo, is the capital city of Japan and also the most populous metropolis in the world. Prior to 1868, Tokyo was known as Edo. It was earlier a small castle town. 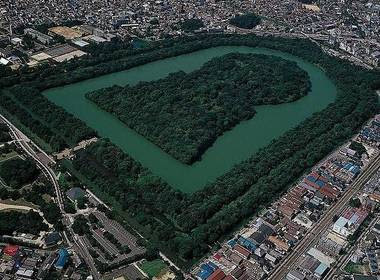 In 1603, Tokugawa Iegusu established his feudal government in Edo and within a few decades it was one of the most populous cities in the world. In 1868, during the Meiji Restoration the capital was shifted from Kyoto to Edo and Edo was renamed as Tokyo(Eastern Capital). Since then Tokyo has come a long way to become a largest metropolis in the world. 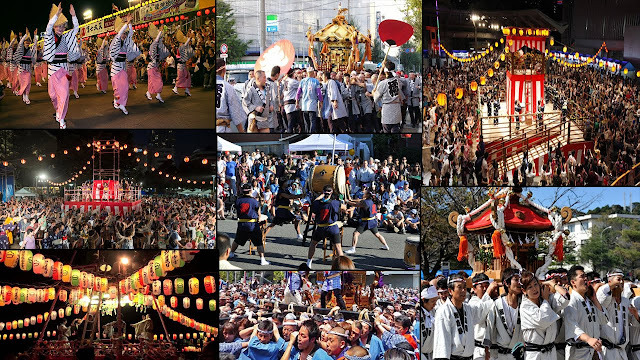 10 Most Popular Japanese Festivals Matsuri are traditional Japanese festivals and they have a very long history. The date and nature of each festival vary from area to area. Matsuris are powerful, energetic, enjoyable and everyone is welcome to participate in them. The main highlight of these Matsuris are the processions and the floats. Japan can easily be called as the "Land of Festivals" as more than 300,000 traditional matsuris are celebrated here. Here I am going to tell you about 10 most popular Matsuris in Japan. 1. Gion Matsuri: - Gion Matsuri is held every year in Kyoto, and is celebrated for the month of July. It originated as a part of purification ritual to appease the Gods, who were believed to cause earthquake, fire and floods. It was first started by Emperor Seiwa in 869 AD, when he asked people to pray in order to end the plague and pestilence which broke out in the same year. Japan - History Timeline Written history of Japan dates back to 1st century AD. But archaeologists have found evidences of people living in Japan for several thousand years dating back to last Ice Age. The Prehistoric Period :- This period has no written history associated with it. The only evidence of this period is the pottery and stone tools found by archaeologists. It is further divided into two periods. During this period,the Japanese lived by fishing, hunting and gathering. It lasted for almost 10,000 years from 10,000 BC to 300 BC. It is named after the cord-markings (jomon) on the pottery they produced. 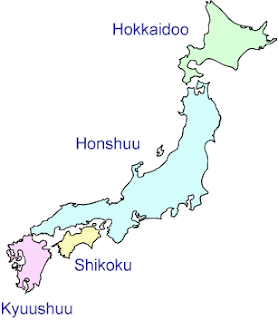 Japan - Geography Japan is a small island country in Pacific Ocean. It was formed due to a chain of many volcanic eruptions due to which it broke off from Asia's mainland and forming Japan as we know it today. Even today there are more than 100 active volcanoes in Japan. Japan has a long coastline of almost 29,751 kms, which is longer than China's coastline. They mainly use it for fishing, which is the major food source for the Japanese and also to carry out their export oriented trade. An amazing fact about Japan is that no place in the country is more than 150 kms from the coast. Borders :- Some neighboring countries to Japan are Russia lies to Northwest of Japan and is its nearest neighbor. Sea of Okhotsk lies between Japan and Russia.The Korean Peninsula lies to its west and is separated by Sea of Japan.China lies to southwest of Japan and is separated from Japan by East China Sea. 10 European Countries with most beautiful Flags Flags are identity of a country on world stage. For some countries they represent their freedom struggle, for some they are a symbol of hope and faith, while for some it represents its people and their religion and beliefs. Earlier, I wrote a post on Asian Countries and their Flags , in which I explained the symbolism behind the design of some of the most unique Asian Flags. Coming to Europe now, European countries have some of the oldest flags which are still in use. The flag of Denmark holds the record of being the oldest flag still in use. Here I will tell you about 10 most beautiful European flags and the meaning behind their design. So, lets get started. 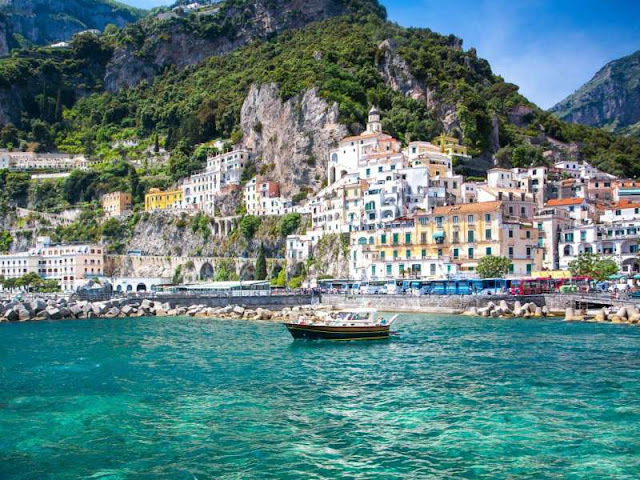 Best Places to Visit in China China is a huge country, both in terms of area and population. It also has a written history of more than 3000 years. 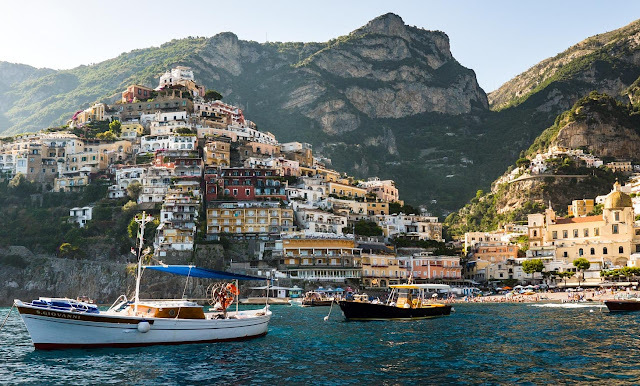 The vast diversity in geography, culture coupled with its long history and super modern lifestyle make China one of the best travel destinations in the world. Some places like Beijing let you to enjoy the modern lifestyle of cities, at the same time let you dwell in the rich history of China. There are many such places to visit in China. So, lets get started. 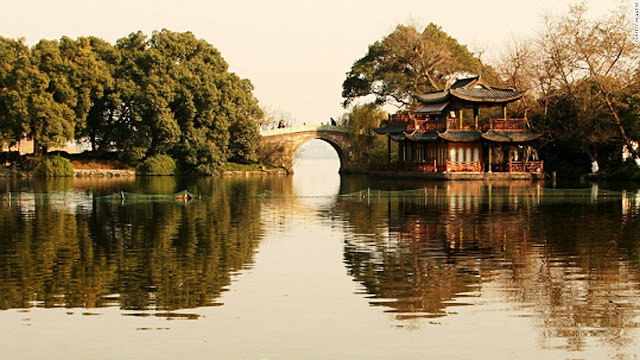 Hangzhou When Marco Polo came to Hangzhou in 13th century, he called it the most beautiful and elegant city in the world. There is also a popular saying in China which say "Above there is Heaven and below there is Hangzhou and Suzhou".